Maryanne is a lady of many talents. She attends our Friday knitting group. 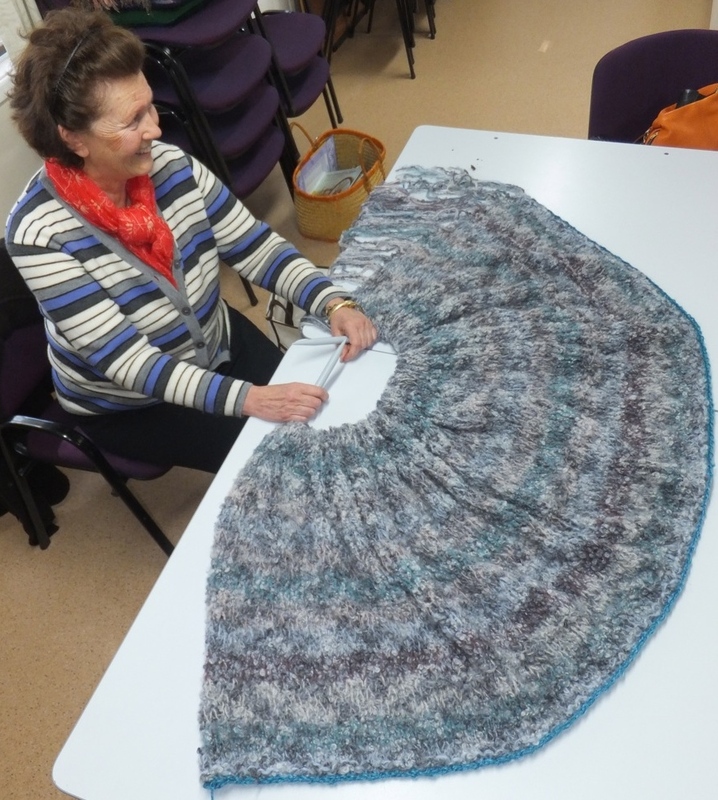 At the moment she is working on this beautiful shawl. The shawl is all knitted and there is a fringe on the end. Looks fantastic. By Lyn.